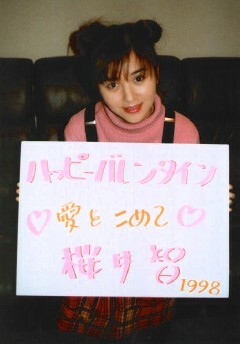 This year's Valentine Aid event (Sakurai Tomo's annual event) was a public recording of her radio show. It was held in the TBS Hall (capacity less than 300), and I think there were 3 sessions. 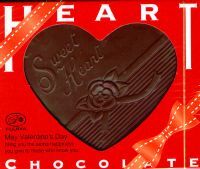 But of course that's not nearly enough, so what they did was pass out chocolates after the event. There were probably more people who lost out on the event, and just got the choco ticket. Tomo passed out all the chocolates, but Nagasaki Moe was next to her helping out, and Moriya Hisoka and Hashimoto Asobi were also on stage making announcements. This went by VERY fast, like last year. This year's choco came with a photo of Tomo, attached to the back.